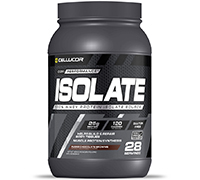 COR-Performance Isolate is an optimal gluten-free source of protein, which combines incredible flavors and 25g of Whey Protein Isolate in every serving. COR-Performance Isolate contains 2g of carbohydrates per scoop, and proudly wears the Informed-Choice.org Trusted by sport logo. The Cellucor COR-Performance™ Series features premium, innovative formulas you expect from Cellucor in an all-new line up of commodity sports nutrition products. Featuring clinically suggested formulas and unmatched flavor systems, the COR-Performance™ Series is designed to satisfy every customer: great formulas, great flavors and great prices. 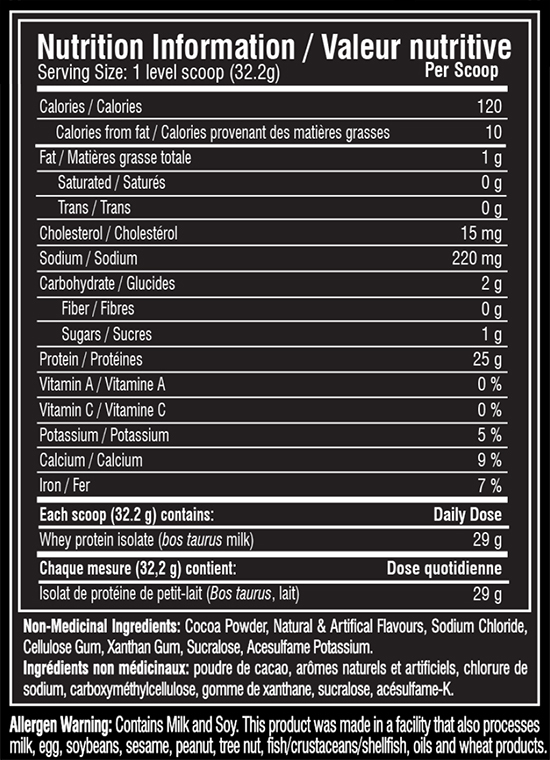 The entire line is Informed-Choice certified and sports a fully disclosed TruFacts™ label. Because the COR-Performance™ Series is stimulant-free, the products can be added to virtually any stack, and are also compliant with most major athletic organizations. Directions: Adults mix 1 scoop well in 1-2 cups of liquid (water, jucie, etc) immediately before consumption daily, or as directed by a health care practitioner.